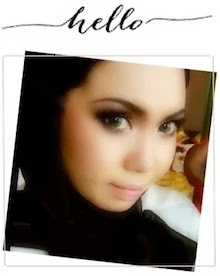 Shazwani Hamid's Blog: Purchase Your iTalk Credit Online! Hey guys! Remember last time I wrote about the new product from TM? The iTalk Whoa! Remember that? It’s the cool portal that can basically connect and integrate all your different social networking sites together! Ring a bell? Well..if you don’t, then check out here to find out more what I’m talking about! Well.. Actually today I’d like to tell you guys that iTalk credit can now be purchased via online, you know! Well I believe that current users of iTalk Whoa normally get their credit from the iTalk dealers or the petrol stations or the iTalk kiosks, but actually, you can now purchase your iTalk credit through online, people! 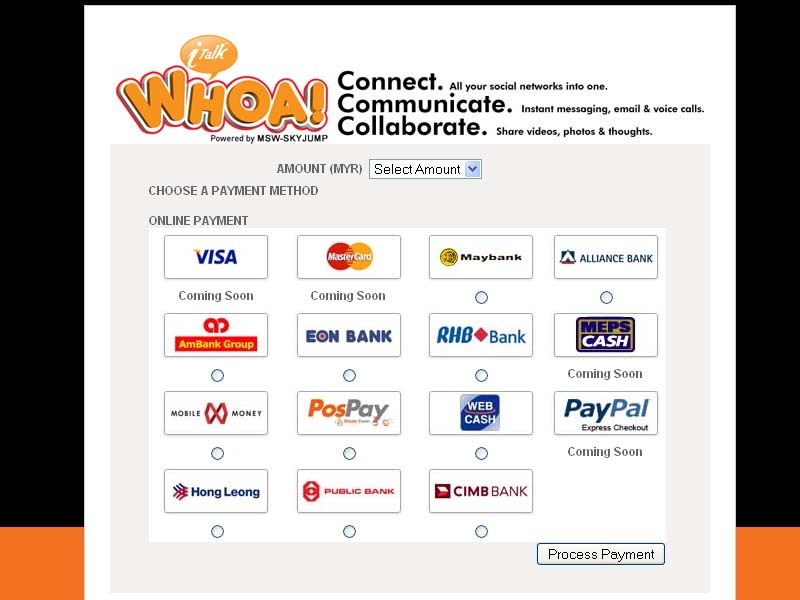 There are quite a number of banks that are listed in the portals..like Maybank, Alliance Bank, Ambank, EON Bank, RHB Bank, Web Cash, Mobile Money, CIMB Bank and all other listed banks accounts in the portal! You can now top up your credit with just one click away and without having to leave your house! How convenient, ey?! Look! So many banks are listed here! iTalk credit can be purchase by 4 denomination that are RM10, RM20, RM30 and RM50. Once purchased, the credit will be automatically credited into iTalkWhoa account. There is no hassle remembering the pin number and reloading. With Digital Certificates using Secure Sockets Layer (SSL) Protocol with end-point security management, users can accessed this portal without hesitance in security of their account information. Use iTalkWhoa now for greater savings and convenience!